SpeeCo's Compact Post Hole Digger was designed for the growing number of subcompact CAT 0 & CAT I tractor owners. It boasts many of the same features as the larger CAT 1 & 2 tractor mounted post hole diggers. Ideal for drilling fence post holes, tree planting and other farm, home or ranch chores. Augers (6", 9", 12") sold separately. 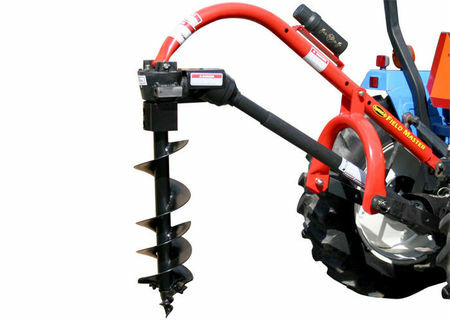 Features: auger rpm 180 / 2" diameter output shaft / drive shaft shear bolt protected / gear ratio 3:1 / quick attach yoke to fit standard 6-spline PTO (completely shielded) / U-frame & boom from H.D. / digging depth to 30". SpeeCo's Model 70 Medium Post Hole Digger is a must have for any tractor owner, fast and easy post holes from your tractor seat! Designed for Cat I & CAT II tractors. Each unit is built with SpeeCo's heavy duty drive lines, heavy duty gear box, high strength 2-7/8" O.D. tubing and shear bolt protection. 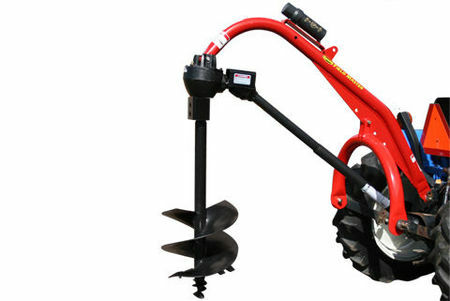 Augers (6", 9", 12") sold separately. Rounding out the SpeeCo line of post hole diggers is our commercial grade Heavy Duty Digger for category 1 & 2 tractors. Designed to dig in the toughest soil conditions, each unit is built with SpeeCo's patented category 1 & 2 speeball, heavy duty drive lines, cast steel ears, rugged gear box 3.18:1 ratio and high strength 3-1/4" O.D. tubing. 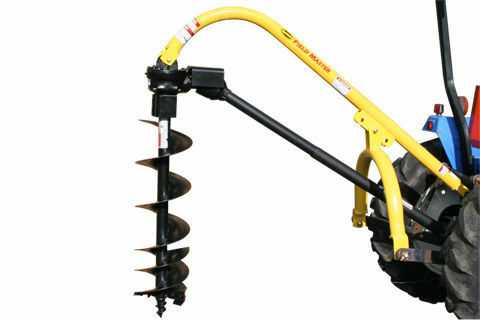 Augers ( 6", 9", 12", 18", 24" ) sold separately.